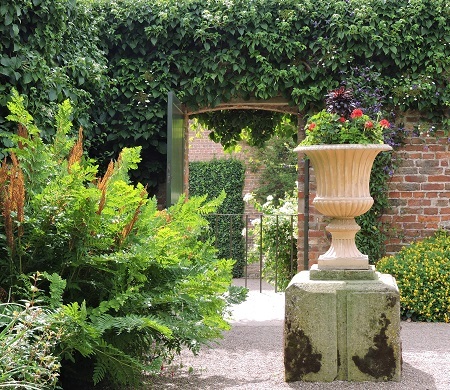 Erddig is a very special place - a unique family home with great gardens that has captured the way of life of a bustling household during the early years of the last century. 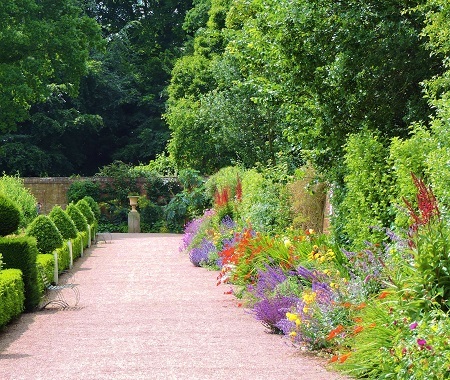 The walled garden at Erddig House and Garden is one of the most important surviving 18th century gardens in Britain and probably the biggest. There are various gardens spaces within the walled garden but the largest space is dominated by a wide canal which leads up to the house. This canal is bordered by an extensive wildflower area with many species including orchids. The walled garden is also home to one of the longest herbaceous borders you will see and this is a riot of colour in the summer. 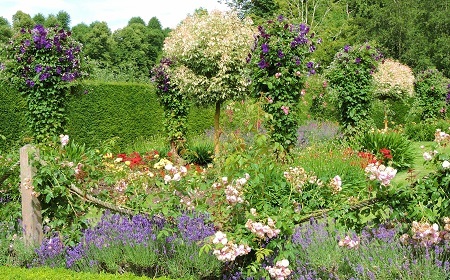 There is a lovely rose border where roses climb intermingled with clematis. 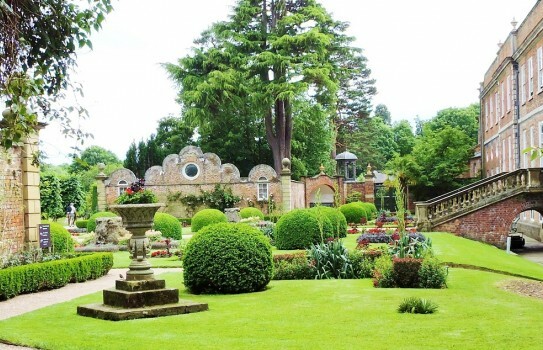 Topiary is a feature of this property and comes in all shapes and sizes. If you like walking there are 3 trails taking you through the extensive park where dogs are welcome on leads. 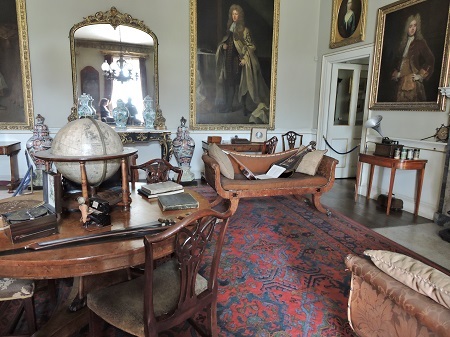 The fascinating house with over 30,000 plus objects is also open to the public so make time to visit it. 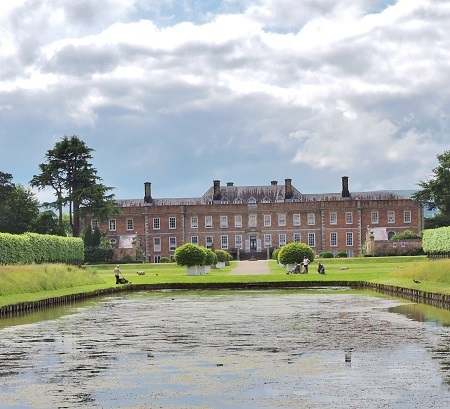 NT Open 2019, Erddig Gardens most of year, House see Erddig website for details. Restaurant, gift shop, country park. 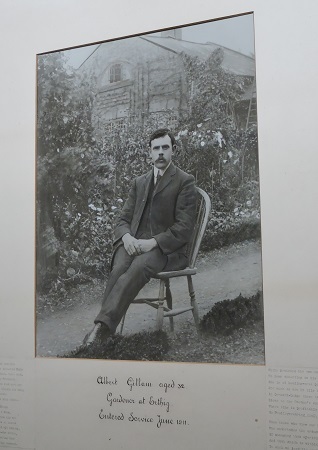 If you want to take a break near Erddig House and Gardens, why not stay in one of our recommended hotels. Look now - click here.